This two tiered coffee table is made from Walnut with a starburst radiating out to the legs. 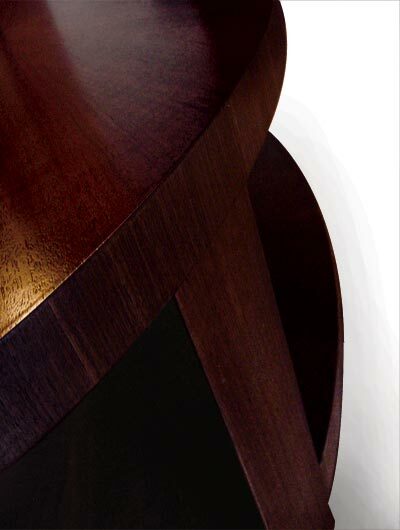 The legs are flush with the outside oval and are shaped like a wedge that points to the center. It measures 24" x 48" and 17" high.